THE MOST REQUESTED SEEKERS ALBUM EVER! 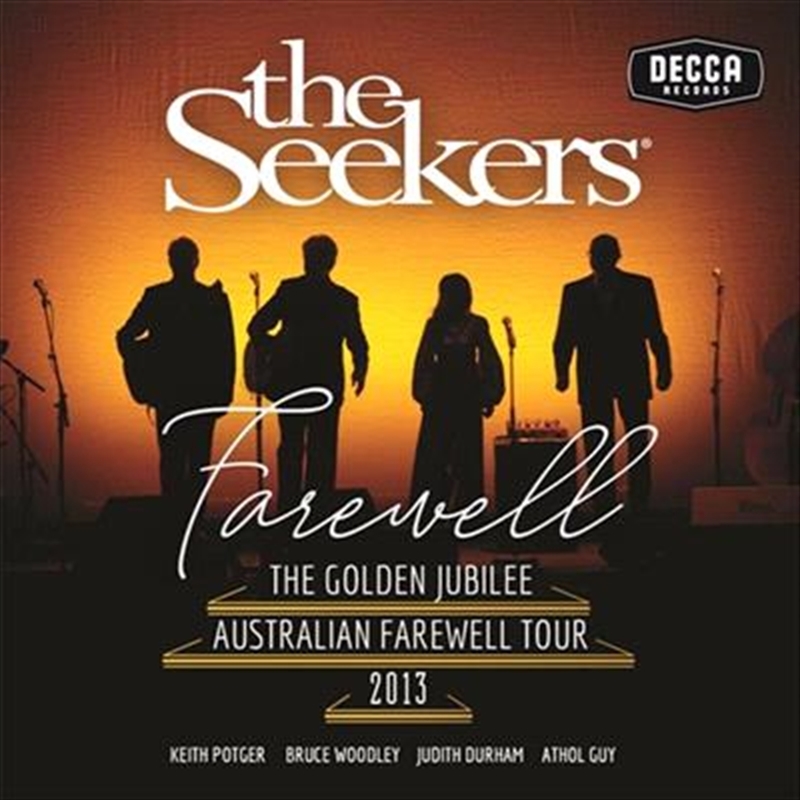 Australian music legends The Seekers say goodbye with their “Golden Jubilee” 2013 Australian Farewell Tour – now available on CD for the first time. As the centrepiece of their two-hour performance the iconic group who put Australia on the international pop music map raise the roof with their chart-topping hits 'I’ll Never Find Another You', 'A World Of Our Own', 'The Carnival Is Over', 'Morningtown Ride', 'Someday One Day', 'Walk With Me', 'When Will The Good Apples Fall? ', and of course, the legendary 'Georgy Girl'.